Nose: The nose starts off with a potpourri of delicate tropical fruits - melon, banana, papaya, pineapple and mango. This is followed by a lingering spicy note of subtle oak and nutmeg, overlaid with vanilla and honey. An inebriant aroma! Palate: A sweet and creamy start on the palate, but then the spiciness quickly takes over. Loads of black pepper, mixed with a whiff of oak and nutmeg. Once the spiciness fades, creamy and fruity notes take over, nicely interwoven with caramel and lingering honey. Less fruity than the nose promises. Finish: The finish is short to medium long, creamy with tropical fruit jam and accompanied by delicate honey and toffee notes. With water: A few drops of water tame the gorgeous tropical fruits while more oak and nutmeg are coming through. Still sweet and fruity on the palate with a significantly tamed spiciness. Pleasant notes of white pepper nicely mixed with creamy toffee, vanilla and honey. The finish is medium long and sweet with vanilla, toffee and a touch of dry oak on the tail. Comments: This is Dr. Jekyll and Mr. Hyde in a glass! This Triple Blend Irish Whiskey captivates with its inebriant aroma of tropical fruits, accompanied by creamy vanilla and fine honey notes. On the palate this dram shows its other face: the spiciness almost attacks you completely unprepared, until the end the fine fruity and creamy notes take over again. This spiciness can be controlled well with water. An extremely interesting and tasty Irish dram with two faces, which I liked very much. I thank Campari Deutschland GmbH for the complimentary sample! Nose: Fresh and fruity on the nose with lemons, citric fruits and pears. Creamy vanilla, slightly floral and grassy notes linger with subtle ginger and hints of oak in the back. Palate: The malt starts with a delicious fruity sweetness on the palate. Tangy lemonade, nicely mixed with green apples and citric fruits. This is complemented by a warming spiciness of caramelised ginger oak and white pepper. Vanilla, creamy honey and slightly herbal/grassy notes intermingle with hints of cloves towards the finish. Finish: The finish is medium long, with creamy honey and toffee. Slightly warm and dry with oak and a touch of bitter lemon peel on the tail. With water: Water even enhances the citric fruitiness on the nose with ginger and oak coming to the fore. Floral and slightly grassy notes emerge. Very fruity on the palate. Orchard fruits and vanilla, immediately followed by an increased spiciness of black pepper, steamed ginger and oak. The finish is quite short with creamy honey, ginger and dry oak. 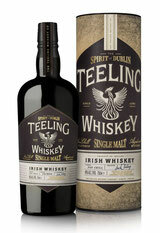 Comments: An expressive Irish single malt, rich and sweet. Deliciously fruity on the nose and palate. Well balanced with vanilla, toffee, floral notes and a lovely warming spiciness. More personality than the Wicklow Rare blend. Nicely complex and highly drinkable. No water needed. I thank Irish Whiskeys for the sample and the photograph! Nose: Fresh and fruity start on the nose with vanilla, butterscotch, yellow apples and pears. Hints of freshly mown grass nicely mingle with peaches, a touch of lemon and subtle oak in the back. Palate: Deliciously sweet on the palate with candied sugar, toffee and vanilla. Subtle floral, followed by a lovely warming spiciness of oak, cinnamon and white pepper. Luscious ripe peaches, subtle plums and a hint of raisins linger with a fine lemon note towards the finish. Finish: The finish is medium long, lovely warm and sweet with candied sugar, caramel, and sticky peach jam. Becomes slightly drier on the tail with oak and subtle bitter lemon peel. With water: Water significantly enhances the fruity flavours of this blend, bringing more peaches, apples and lemons to the fore. Hints of floral notes with slightly decreased vanilla and butterschotch. There's also more fruit on the palate, especially peaches and plums, lovely mixed with vanilla and blossom honey. The spiciness is a bit tamed with water, The finish is medium long with clearly more spices - oak, black pepper, cinnamon and nutmeg. Becomes subtle dry towards the end. Comments: A delicate blended Irish whiskey with an oily texture. Smooth and velvety at first, but expansive on the palate with a bold spiciness, lovely balanced with the luscious fruitiness. A fine, rich and nicely potable all-day dram. Nose: Lovely fruity on the nose with pears, melons, orchard fruit, and ripe bananas. Lively and sweet with lemonade, vanilla and a hint of ginger in the back. Soft and mellow! Palate: Silky and sweet on the palate with lively lemonade and a delicate fruitiness of pears, ripe bananas and orchard fruits. This is complemented by a bold spiciness of oak, pepper and crystallised ginger. Very warming with sticky notes of acacia honey towards the finish. Finish: The finish shows good length with a creamy vanilla sweetness and sticky orchard fruit. Lovely warming with fine ginger and a whiff of oak on the tail. With water: Water brings out more of a darker fruitiness with peaches and plums coming to the fore. Sweet vanilla with a subtle floral note in the back. Sweet and mellow on the palate with ripe bananas and peaches, accompanied by a slightly warming spiciness of oak, black pepper and ginger. Becomes slightly dry towards the finish. The finish is still long and subtle sweet with more spiced oak. Very dry on the tail. Comments: A deliciously sweet and odoriferous dram. Velvety, smooth and extremely quaffable with lovely fruity elements and a creamy sweetness, well balanced with the oak of the bourbon cask. Like walking through an orchard in summer. Nose: A massive load of alcohol at first, however, only slightly pungent. Behind that curtain, lingering notes of vanilla, tangerine and acacia honey emerge. Gently perfume-like with a hint of pine-needle derived flavours. A touch resinous with tender spiced oak in the back. Bold and intense. Palate: Strong and sweet on the palate with creamy vanilla, tangerines and subtle peaches. This is immediately followed by a warming and intensive spiciness of cracked black pepper, oak and hints of nutmeg. Once this warmth fades,creamy notes of acacia honey nicely linger towards the finish. Finish: The finish is surprisingly short, nicely fruity with peaches and tangerines, followed by a creamy sweetness of vanilla and caramel. Slightly warming with pepper and oak. Becomes a bit dry on the tail with slightly bitter oaky tannins. With water: Water brings out more fruitiness while the perfume-like and pine-needle derived flavours increase as well. Sweet and herbaceous with vanilla and acacia-honey, followed by a still present and intense spiciness of black pepper and oak. The finish is medium long, warm and very dry. Comments: This is an intense, bold and almost brutal dram. The warmth and spiciness, however, fade away very quickly leaving a lovely fruitiness and vanilla sweetness behind. 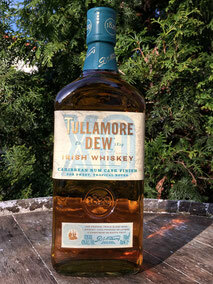 Quite a nice one, but to me, not the best bottling of the six West Cork Whiskeys I recently tasted. Nose: Fresh and fruity start on the nose with pineapples and citric notes. Vanilla and toffee emerge, followed by more and more dark fruits - plums, red berries and subtle raisins. Hints of ginger and oak in the back. Palate: Sweet, soft and creamy on the palate with vanilla, cherries and tender notes of plums. Raisins and dark chocolate are coming through, complemented by a warming spiciness of oak and cinnamon with a hint of slightly bitter orange peel towards the finish. Finish: The finish is medium long, sweet and creamy with vanilla, dried dark fruits and a hint of cocoa on the tail. With water: Water brings out more vanilla sweetness, balanced with slightly more oaky tannins, while the fruitiness is a bit tamed. Fruity with apricots and plums on the palate, complemented by vanilla and slightly bitter orange peel. The spiciness with oak, cinnamon and ginger is noticeably enhanced. The finish is still sweet but rather short, with creamy vanilla and only a whiff of spiciness on the tail. Comments: Another big shot from West Cork distillery. A smooth, soft, light and quite quaffable single malt whiskey. Rich flavours with depth and some complexity. Not overpowered by the sherry cask; just the right balance of sweetness, fruitiness and oak spice. Well done! Nose: Fruity on the nose with gentle wine aroma. There are red apples and dark berries, lovely mixed with vanilla, subtle brown sugar and a hint of floral notes. The fruity nose is complemented by acacia honey and sensible oak spices. Palate: Fruity, elegant, creamy but also significantly spicy on the palate. Red apples and raspberries are coming through, complemented by warming oak spice and pepper. Vanilla sweetness, oscillating with sour and fruity flavours, followed by a touch of cereal notes and malted barley towards the finish. Finish: The finish is medium long and creamy, with a warming hint of pepper and slightly bitter dark chocolate on the tail. With water: Water brings out a bit more fruitiness on the nose with slightly increasing oak spice. On the palate, however, water enhances the spiciness significantly with cracked black pepper and ginger coming through. The lovely fruitiness is evidently tamed. The finish is medium long and warming, with sticky fruit jam and a hint of pepper. 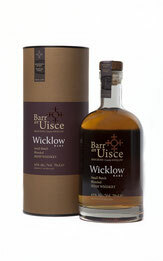 Comments: Another delicate and quite quaffable single malt whiskey from the folks of West Cork distillery. The port cask finish brings in lovely fruity flavours, albeit not very complex. But the lovely balance of fruits and spices, together with an abv of 43% make this dram a pleasant and elegant one. Nose: The nose starts off with a significant rum aroma, complemented by a sweetness of molasses and creamy vanilla. Fresh with gentle notes of citrus and oak in the back. Very nice indeed. Palate: Lovely sweet and creamy on the palate with custard and rum flavours, immediately followed by a slightly warming spiciness of oak, pepper, and nutmeg. Dark cherries and raisins emerge, complemented by sweet (Demerara?) sugar. Gets a bit drier in the end with oak and a hint of cocoa. Finish: The finish is medium long and creamy, with sweet sticky fruit, followed by dry notes of oak which become slightly bitter on the tail. With water: Water brings out more vanilla and citric fruits but tames the fruity sweetness and the lovely rum flavours. Creamy and sweet on the palate at first with custard, but becomes dry and slightly bitter with oak and lemon peel. The finish is medium long, gentle warm and very dry. Comments: Delicate and quaffable stuff. A very pleasant single malt whiskey finished in rum casks. The palate delivers what the nose suggests. Well balanced, with lingering vanilla, oak spice and dark fruit. But please, no water here as this Irish buddy becomes very very dry indeed. Nose: Wow - this isn't Whiskey, this is rum! Sweet rum made from molasses! Massive load of vanilla, molasses, and tropical fruit salad. There are ripe bananas, pears, juicy tangerines, lovely complemented by gentle roasted flavours and hints of dark chocolate. An enticing nose - you can smell this for hours, and the ripe banana becomes more and more prominent. Outstanding! Palate: The palate fully delivers what the gorgeous nose already promises. Creamy, even soft, sweet and fruity. Lots of vanilla, Demerara sugar, ripe pears, and bananas, followed by a slightly warming but, with time, increasing spiciness of oak, cinnamon and pepper. Lingering sweet and sticky toffee notes, folloed by dark chocolate towards the finish. Simply delicious! Finish: The finish is medium long, lovely sweet with creamy fruit - pears and bananas. Lingering notes of vanilla, toffee and gently warming spiced oak, cinnamon and espresso on the tongue. With water: Water brings out a bit more spiciness on the nose while the gorgeous fruitiness and sweetness keep on going. There's also an increasing spiciness on the palate with pepper, cinnamon and nutmeg, pushing the fruity flavours in the background. Less sweet but significantly dry. The finish is medium long, sweet with vanilla and dry oak on the tail. Comments: Wow - what a lovely dram with an outstanding nose! The double charred bourbon casks deliver plenty of vanilla, tropical fruits, and lingering oak spice with well balanced roasted flavours. Gloriously quaffable and a magnificent value for money. This is a must buy - at least for me! Nose: Lovely fruity on the nose with melons, orchard fruit, ripe bananas and pineapple. Sweet notes of vanilla emerge, lovely mixed with some citric fruits and a hint of ginger in the back. Soft and mellow! 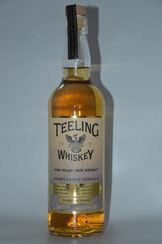 Palate: Light and very sweet on the palate with loads of vanilla and fruity flavours - bananas, apricots and melons. This is gently followed by a slightly warming spiciness of oak, white pepper and ginger. Smooth and relaxing! Finish: The finish is medium long, soft and creamy. Sticky banana and melon flavours intermingling with a slightly warming spiciness of oak, acacia honey and ginger on the tail. 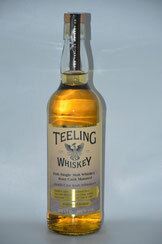 With water: Water brings out pleasant flavours of orchard fruits on the nose, complemented by vanilla and subtle toffee. The dominating banana notes are a bit tamed. Less fruit on the palate. Sweet combination of vanilla with an increasing spiciness of oak, black pepper and ginger. The finish is medium long and warm with a slightly bitter touch of oak and orange peel on the tail. Comments: This is a mellow, soft and light whiskey with a lovely fruitiness and intense vanilla sweetness. Very easy to drink, ideal for the summer season. Not complex or multi-layered. Just straight forward and a good candidate for a perfect start into the world of Irish single malts. Nose: Fruity on the nose with quite intense aroma of peaches and apricots. Creamy vanilla's coming through with a gentle hint of floral notes and lingering marzipan behind. Very complex. The flavours are a bit masked by the high alcohol strength. Palate: Boy, this is strong! Very fruity with peaches at the beginning, complemented by sweet honey and lingering vanilla. This, however, is immediately displaced by a strong and huge amount of hot spices - white pepper, oak and nutmeg. Bold and intense, with prickling tannins. Once the tongue recovers there is honeyed sweetness again with gentle hazelnut in the end. Finish: Very long and quite warm. Yellow fruit with an oily sweetness. Gets a bit drier on the tail with spicy wood tones. Delicate. With water: Creamy and very fruity on the nose with ripe peaches but less vanilla flavours. Water significantly tames the hot spiciness on the palate with more sweet honey, vanilla cream and yellow fruits coming to the fore, leading to a long, warm and creamy finish. Very enjoyable. Comments: Wow - a wolf in Irish sheep's clothing! Nearly harmless on the nose with lingering sweet and floral notes, but merciless on the palate with extremely hot spices. Without water, this almost blows you away. However, this beast is tamed with a splash of water leading to a lovely dram with a pleasant balance of sweetness, fruits and spice. Very impressive indeed! I thank Irish Whiskeys for sample and photograph! Nose: Quite a fruity start on the nose with melon, pink grapefruit, yellow apples and a touch of unripe banana. Sweet barley is coming through with a slightly floral note (maybe hay) behind, complemented by a whiff of vanilla and gentle anise. Palate: Sweet fruity start on the palate, a bit artificial like jelly babies. This is immediately followed by bold and intense spices, oak, ginger and white pepper. Hot, even a bit chili's coming through. Slightly grassy or hay-like notes arrive, displaced by a fruity and buttery sweetness in the end. Finish: A pretty long and warm finish. Liquorice and jelly babies. Some ginger and lingering peppery spice with a whiff of citrus in the aftertaste. With water: Fresh and creamy on the nose with a slight touch of wax polish. There's more citrus on the palate with prickling, even vibrant spices, leading to a long, warm and sweet finish. Comments: Nice stuff. Lots of fruity sweetness, maybe a bit artificial to me. It's the huge amount of lingering spices, oak, ginger and pepper, which I like most. This kind of profile keeps me sipping a number of times. Nose: The nose starts off with ripe dark fruit, raisins, and molasses. A delicate sweetness of rum flavours arrives with gentle blueberry and subtle vanilla. This is followed by a touch of citrus and oak. Very nice. Palate: Quite oily, even syrupy on the palate. Sweet at first with delicate blueberries and dark cherries, immediately followed by an intense spiciness, cloves, white pepper, geranium and lingering oak. Delicate rum flavours emerge, complemented by sweet malted barley. Gets a bit drier in the end with cocoa and dark chocolate. Very enjoyable. Finish: Very long, warm and quite sweet with lots of lingering cinnamon, prickling oak spice and enjoyable rum-in-fruit flavours. Delicate. With water: Increased sweetness and rum flavours on the nose, with a lot more spice and less sweet aroma on the palate, complemented by intense rum notes and more chocolate. This leads to a long and lingering spicy finish. Comments: Good stuff. A very pleasant single malt whiskey matured in a rum cask. Well balance of sweetness, fruit and spicy flavours. This one is particularly great on the palate. Nose: Aromatic, fresh and sweet with yellow tropical fruit, apricot, peach, banana, and melon complemented by lingering citrus notes. Oily and creamy. Delicate vanilla cream arrives with subtle toffee and a pleasant touch of herbs, mainly cloves with a whiff of geranium and subtle oak. Palate: Smooth, even velvety on the palate with a delicate fruity sweetness, peaches and lots of pear, along with delicate vanilla and subtle citrus notes. Bold waves of spices appear on the middle with white pepper, cinnamon, lingering oak and slightly bitter herbs. Very nice. Finish: Sweet and warm, even hot, with a medium to long finish. Crisp malt and subtle toffee. Gets drier in the end with oak spice, but stays sweet still with a caramel tail. With water: More intense, even vibrant on the nose with lots of tropical fruit and spices. Pleasantly creamy and sweet on the palate along with a huge amount of peaches and a squeeze of citrus fruit on the palate, leading to a tamed spicy finish. Comments: A pleasant and thoroughly enjoyable whiskey with a good balance of delicate tropical fruit and prickling spice. Deliciously creamy, spicy and full of flavours. A nice summer dram!